The deadline for the APW Youth Scholarship has now passed for 2019 applications. 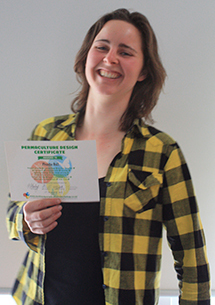 APW supports young people interested in ecological design and sustainability in the Auckland bioregion by awarding two candidates a full scholarship to participate in the 2019 Permaculture Design Certificate programme. This is an internationally recognised qualification which will provide them with ecological literacy, design activism and change facilitation skills and knowledge. People 25 years of age or under by the first workshop of the calendar year are eligible to apply. Applications close on TBC. Applications will close on November 23rd. If you wish to apply in the future please supply your CV including two telephone referees, and a covering letter explaining why you’d like to participate and how you hope to use this educational opportunity to further your goals. Contact us for more information or send your application to info@apw.org.nz. Naturally, terms and conditions will apply.